Create memories, not waste this Christmas! 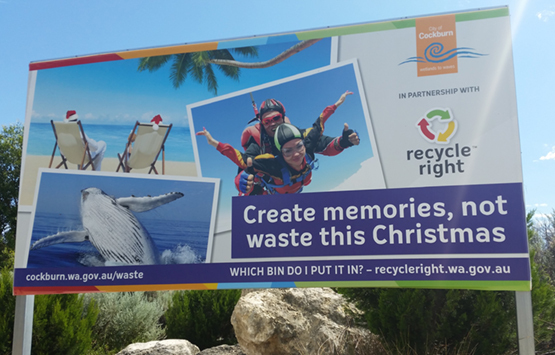 The City of Cockburn are getting into the spirit and encouraging their residents to create memories instead of waste this Christmas by giving the gift on an experience. 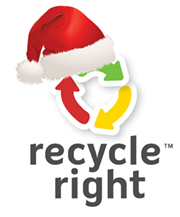 Also donâ€™t forget to check the Recycle Right website recycleright.wa.gov.au, or download the app to make sure your waste goes in the right place this Christmas. Recycle Right has recently featured in the Garden Gurus providing great tips on reducing your waste and living more sustainably. The last episode to air was about how disposable nappies will cause problems for waste processing if they are put in the yellow-topped bin. Taryn Davis, Community Engagement and Communications Officer shared her recent experiences, making the commitment not to use disposable nappies and go cloth all the way. Not only has she saved thousands of dollars, there will be no stinky 300 year nappy landfill legacy for this baby! Last week, a City of Cockburn waste collection truck caught fire in Banjup whilst collecting green-topped bins. A butane canister started the fire which caused tens of thousands of dollars damage to the truck. Butane canisters are a Household Hazardous Waste (HHW) and should be disposed of correctly at a HHW drop of facility. The previous week the City of Cockburn refused to collect the recycling bin pictured above as it contained three butane canisters. Not only are these canisters dangerous in the bin, they are a major safety risk to the staff at the recycling facility who manually handle the waste before it is sorted. 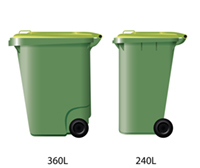 City of Kwinana residents can now upgrade their recycling bin from a 240litre to a 360litre receptacle. Ratepayers can request a larger recycling bin from the Cityâ€™s waste contractor Cleanaway and pay just a small $50 fee. Give the free gift of recycling knowledge and tell people about the Recycle Right app on the App Store and Google Play Market. Give low impact gifts that create minimal waste and have a good end of life solution. Be sure to place packaging loosely in the yellow-topped bin. Please do not put plastic packaging inside cardboard boxes. Flatten your boxes. Use paper wrapping rather than foil or plastic coated wrapping. You can also save your paper wrapping for reuse next year. 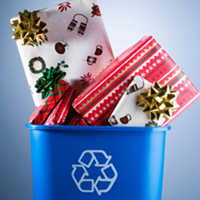 If you are having a Christmas Party, make it easy for your guests to recycle by proving two labelled bins - one for general waste and the other for recyclables. Try to minimise food waste this Christmas, only buy what you need, serve smaller portions and store and use leftovers. Wrap food waste in newspaper and put it in the green-topped bin together with your garden waste so we can turn it into compost. Tinsel should not be placed in your yellow-topped bin. Buy good quality decorations and store them properly so you can reuse them next year. Which bin do I put it in? 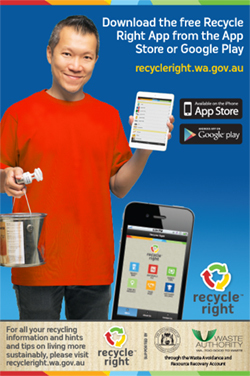 Visit recycleright.wa.gov.au or download the free app fromthe App Store or Google Play. Toilet paper is still, largely made with freshly-cut trees. Weâ€™re cutting down trees, wiping our bums and flushing them down the toilet, consuming loads of energy and water along the way. 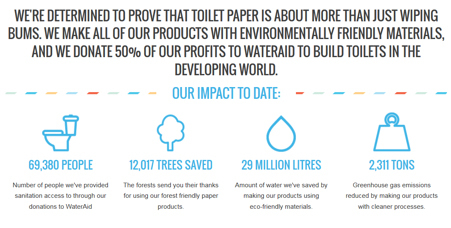 100% recycled paper is used in all of our toilet paper, meaning weâ€™ve already saved thousands of trees and hundreds of tonnes of greenhouse gas emissions. After all, trees should be for hugging, not wiping! Toilet paper so soft, it will make your bottom smile! Did you know that 2.5 billion people (roughly 40% of the worldâ€™s population) donâ€™t have access to a toilet. Poor sanitation causes diseases that fill over half of sub-Saharan African hospital beds and kill 1,400 children under 5 every day. Luckily, toilets are proven to be a great solutionâ€”they provide dignity, health and an improved quality of life. And in case that wasnâ€™t enough, itâ€™s been shown that a dollar invested in sanitation yields eight dollars in increased economic prosperity. Toilets are magical! 40% of the world's population doesn't have access to a toilet. That's why we donate 50% of our profits to WaterAid to build toilets for those in need. Tree-free is the way to be. That's why only 100% recycled paper fibres, bamboo or sugarcane are used in their products. It saves water, carbon emissions and trees. Trees are better for hugging than they are for wiping anyway. And the rest of you. Super-soft and super-strong, their products are as good for you as they are for your wallet. They make all of their products without any dyes, chemicals, or scents, so worry not! All of their products are made with environmentally friendly materials, and they donate 50% of their profits to WaterAid to build toilets in the developing world. WGAC only use 100% Recycled Fibres in their toilet paper. It saves on trees, waste and landfill, and it feels good to do good, doesnâ€™t it? 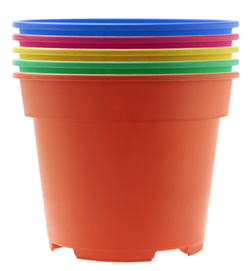 Plastic flower pots can be placed in your yellow-topped bin, along with all other hard plastics such as washing powder containers. These items are manually removed by our sorters and baled for reprocessing into new plastic items. To find out which bin to put it in download the Recycle Right App for free on the App Store or Google Play. 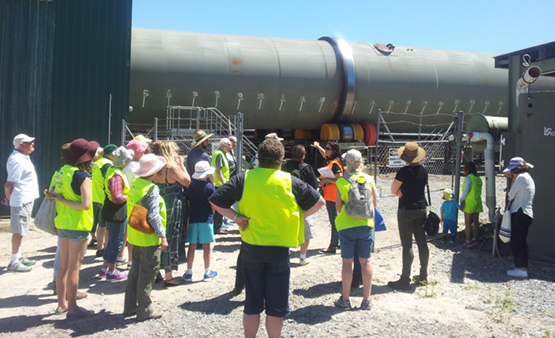 On Tuesday the 17th of November and interested group of residents from the City of Cockburn attended a tour at the Regional Resource Recovery Centre. All tour participants were thrilled with the tour and all the participants said they had learned a lot about how their waste was managed. They were going home to make some of those small changes that can make such a big difference to how their waste is processed, such as flattening their cardboard boxes and using a compostable bin liner or newspaper to line their bins. Photo: Bo Wong, styled by Gabby Howlett. 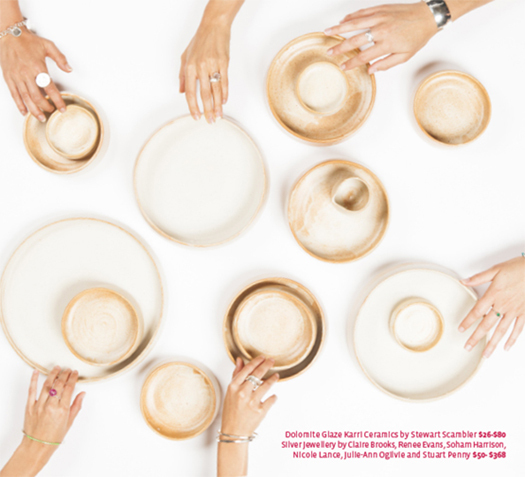 Nestled in the beautiful grounds of Fremantle Arts Centre, you will discover FOUND. The shop houses Perthâ€™s largest selection of locally made and designed products including ceramics, glass, textiles, prints, wood, toys, books and stationery. Find the perfect Christmas gift and produce for the festive season at one of the many pop up Christmas Markets around Perth. Click here for more information. This National Recycling Week, Emma our Recycle Right Education Officer was super busy educating schools and day care centres about how to reduce their waste and recycle right. The Recycle Right App was advertised in the West Australian and we received a record number of downloads that day! We also ran a competition and gave away a cubic metre of compost to one lucky reader â€“ congratulations Oliver! Thanks to our generous compost partner Nutrarich. 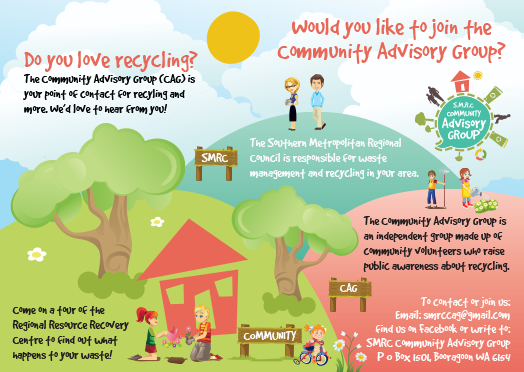 CHECK YOUR BIN DAY OVER THE FESTIVE SEASON! The worst time of year to get your bin day wrong is Christmas! This year, especially if your bin is collected on a Friday, it will most likely not be collected on Christmas Day, or New Years Day. Check your waste calendar on the Recycle Right Website, or your council website, for changes to your bin collection over the festive season. 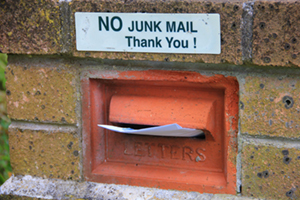 A great way to reduce your waste, especially at Christmas time when all those catalogues come rolling in is to put a No Junk Mail sticker on your letterbox. â€˜No Junk Mailâ€™ stickers for Kwinana residents can be collected from the City of Kwinana Admin Building on the corner of Sulphur Road and Gilmore Ave during opening hours. 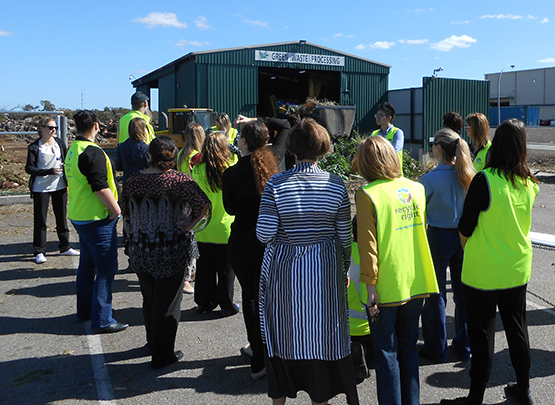 We run free tours of the Regional Resource Recovery Centre from Monday to Friday and once a month on a Saturday for anyone interested in understanding exactly what happens after the vergeside bin collection. Schools, community groups and individuals are welcome and bookings are essential. Copyright Â© 2015 Southern Metropolitan Regional Council, All rights reserved.